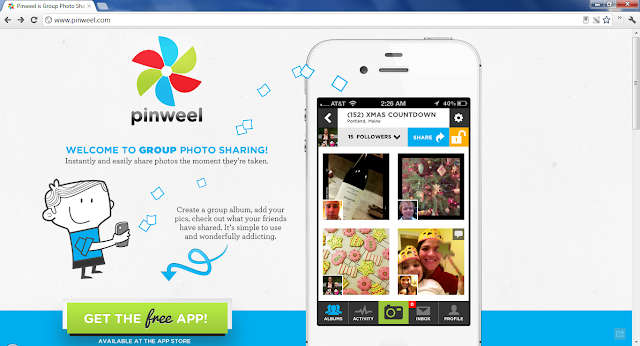 Pinwheel is a group photo sharing app for iOS. Instantly share photos to group albums and see what your friends have shared. Popset is a similar app.